You’ll find Kehillah a little different—fresher, truer—in many ways. Our membership is an eclectic mix of neighbors and newcomers, young families and retirees, interfaith and traditional households, as well as gay/lesbian partnerships. And because it so squarely aligns with our mission to marry the traditional with contemporary social, intellectual and spiritual insights, we are affiliated with the Jewish Reconstructionist movement. Our Shabbat services range from a warm, intimate Friday night service to Saturday morning services rich with Hebrew and tradition, and monthly Tot Shabbat services and “Shabbat Shira” filled with music, singing and dancing. 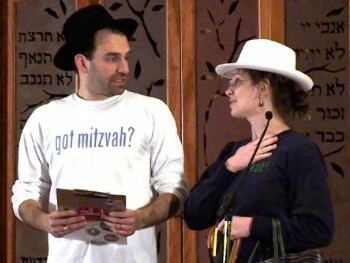 Rabbi Jen guides us with thought-provoking insights and discussions. Her approach is both down-to-earth and ‘in the moment.’ Our prayer books are accessible to everyone. Each of our Life Cycle events is as unique as the member(s) it’s commemorating. Our mission: Create an inclusive and engaged Jewish community that inspires people’s lives and deepens Jewish involvement through celebration, worship, education, social action and values.